BOUNCE Inc – The Free Jumping Revolution is the ultimate in fun for kids ages 3 and up. 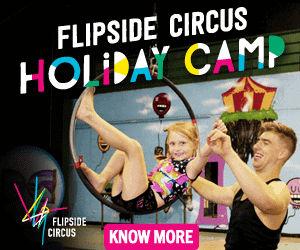 The Tingalpa facility offer an incredible array of fun, physical activities for a large variety of ages and abilities. 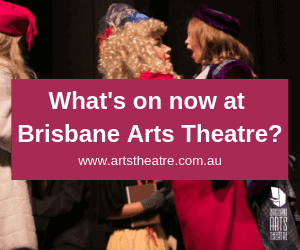 This huge, air-conditioned venue in Brisbane’s south-eastern corridor must to be seen to be believed. You won’t believe the things you’ll be able to do! How do we get to BOUNCE Inc? 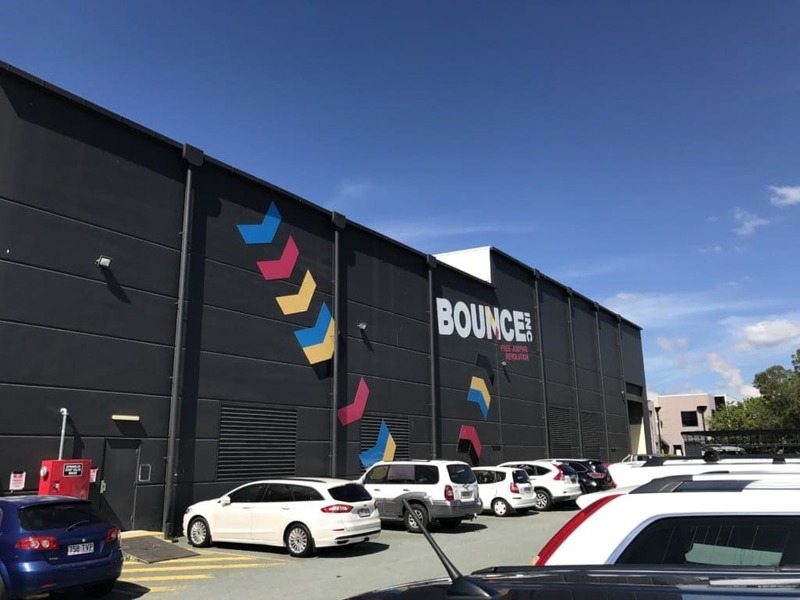 Bounce Inc Tingalpa is on Enterprise Place which is off Wynnum Road quite near where the Gateway Motorway passes overhead. Easy to get to if you’re coming from the west but if this is the opposite direction for you prepare for some u-turns. Parking is plentiful and there is easy access for wheelchairs and prams. The facility is probably about a 20-25 minute drive out of the CBD. If you’re looking to catch a bus it’s route numbers 227 or 215. 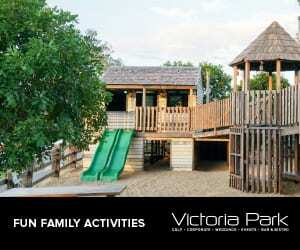 This is an activity-centred destination like no other! 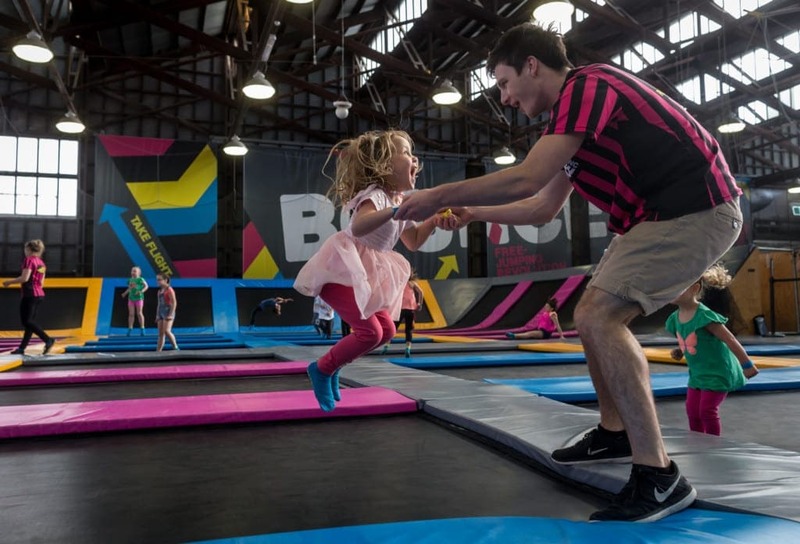 If you’re planning a trip to BOUNCE you need to make sure you book ahead for your session. To ensure that there are a safe number of people bouncing and that staff can adequately and appropriately cater for the needs of everyone sessions are capped at a certain number. We thought this was a particularly excellent element of the venue – it means every person gets their own space, there’s no ‘hogging’ as there’s a time limit on your stay and staff aren’t overloaded and stressed. Staff have first-aid qualifications, radios to communicate in case of issues and act as guards and coaches instead of passive supervisors. Supervision and safety are paramount. 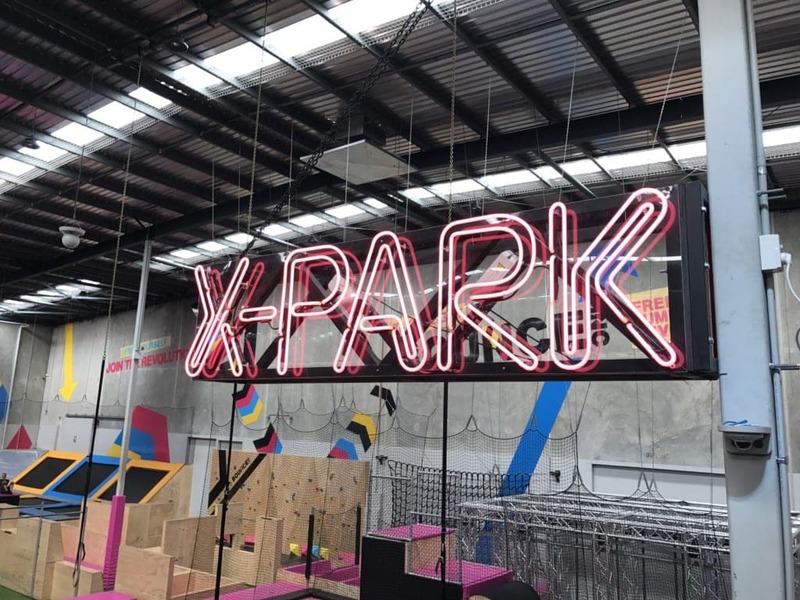 • An X-Park that would rival something out of Ninja Warrior (this would be particularly great for those older kids with energy to burn. 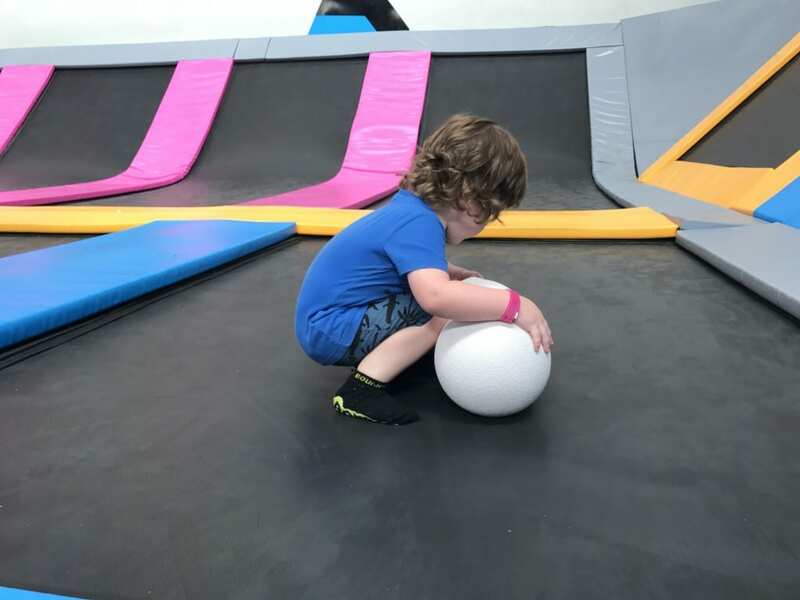 We were shown around by some incredible, passionate, friendly staff who took their time to make sure that our little one was having the time of his life! Staff coordinate games with the children, lead them through different activity zones and even act as dedicated party hosts if you’d like to book a 60 minute party with very own party room! Does BOUNCE cater for younger kids or people with different levels of ability? BOUNCE is not suitable for children under the age of three due to safety, height restrictions and mobility reasons. However, Tingalpa BOUNCE runs a delightful KinderGym program for kids aged 3-5 that helps build skills & confidence for an active life. This was surprising to hear and we’ll definitely be signing up our child. All levels of Bounce, apart from X-Park, can be reached via pram and wheelchair. 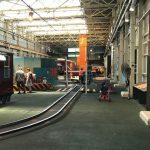 Our wonderful host told us that if patrons who had disabilities booked into a session that areas could be cordoned off so that they may also participate in the Bounce experience. Similarly, Bounce receives a lot of visits from school groups in particular those from disadvantaged backgrounds. This is a very positive, very inclusive environment for all. 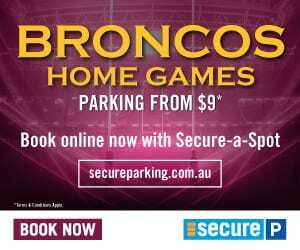 Is there anything else on offer at BOUNCE Inc Tingalpa? You can sign up for a program called “Flight Academy, a coaching program to learn and develop skills & tricks. Running in line with school terms – an interesting activity if your child is looking for something different than soccer or netball! There is a trampoline fitness class called BOUNCE Fit that is an awesome dynamic 45 minute structured movement workout, that’s really enjoyable. BOUNCE no only has excellent programs but as previously mentioned parties and work functions can be hosted here as well. Where do we put our things while we’re bouncing? Limited entry certainly cuts down on the risk for belongings being taken but for extra security you will find a series of lockers (both open and padlocked) on the bottom floor underneath the viewing platform. 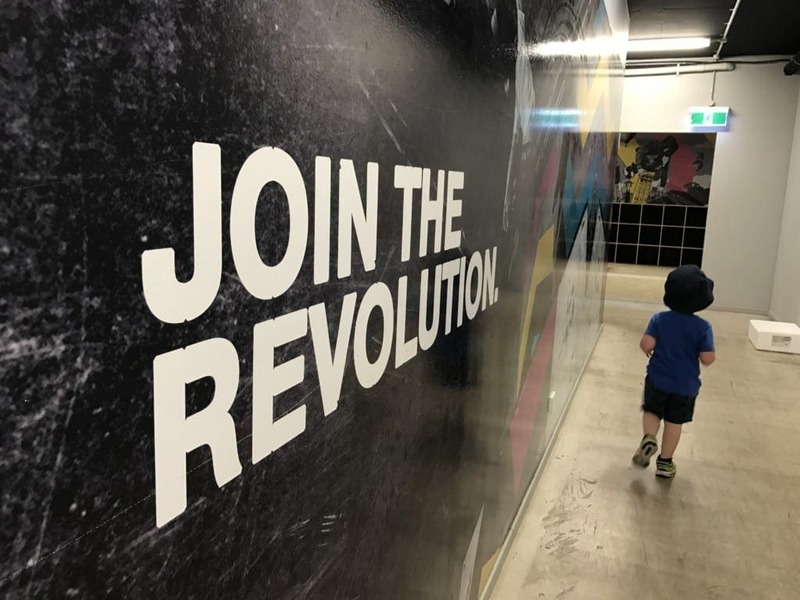 What other facilities are on offer at BOUNCE Inc Tingalpa? 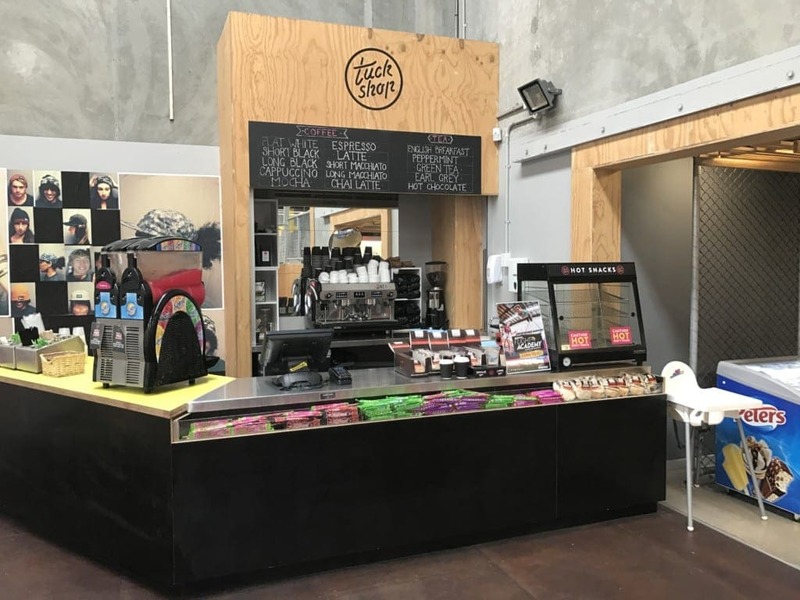 You’ve got food and drink options here from the healthy to the cheeky treat. Icecreams, slushies, sandwiches and cold drinks can be found near the main desk. If you’re looking for something a little more adult there’s a small café set up serving hot beverages and dessert items. Plentiful seating near the dodgeball court and the viewing mezzanine mean you can relax to devour your hard-earned snacks. Toilets are located bot upstairs off the viewing platform and downstairs off the main floor. There is a baby change facility in the disabled toilet upstairs and another in the main bathrooms’ downstairs. 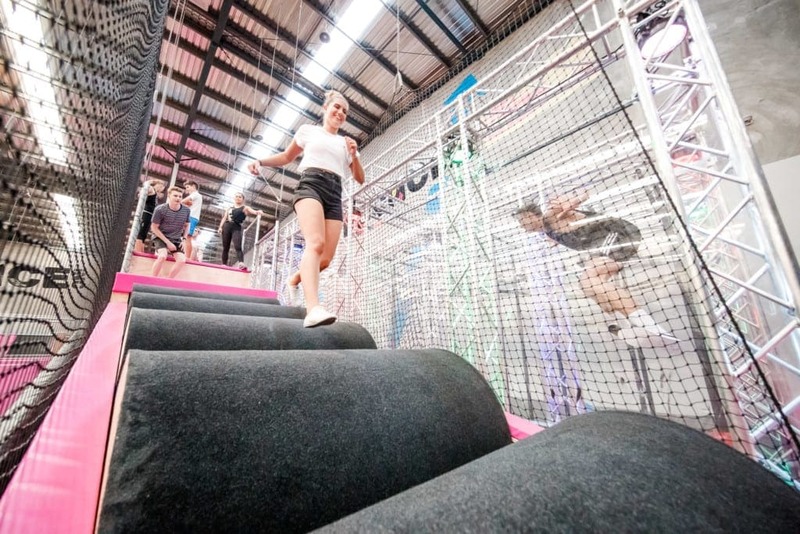 How much does it cost to go to BOUNCE Inc, Tingalpa? Opening hours are Monday to Friday from 10am – 9pm. Saturday is 9am-9pm and Sunday is 9am-7pm. 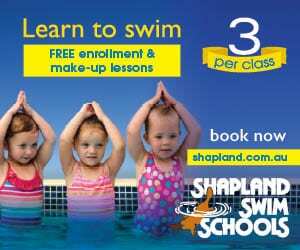 Remember – you MUST book your session in advance via the online portal. You’ll be given BOUNCE grip socks at you enter (yours to keep as a souvenir) but must wear flat soled shoes if you’re going into X-Park. So get off your seat and jump around! Your session will be over at BOUNCE before you know it. 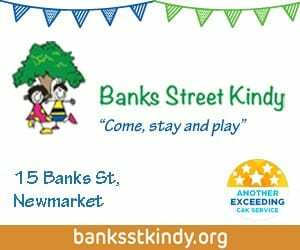 This is the perfect activity for those jumping-bean children who seem to have boundless energy. 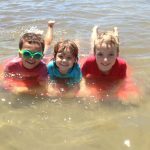 Great, positive, social time out for the family that will leave your kids wanting more (after they have a BIG nap!). 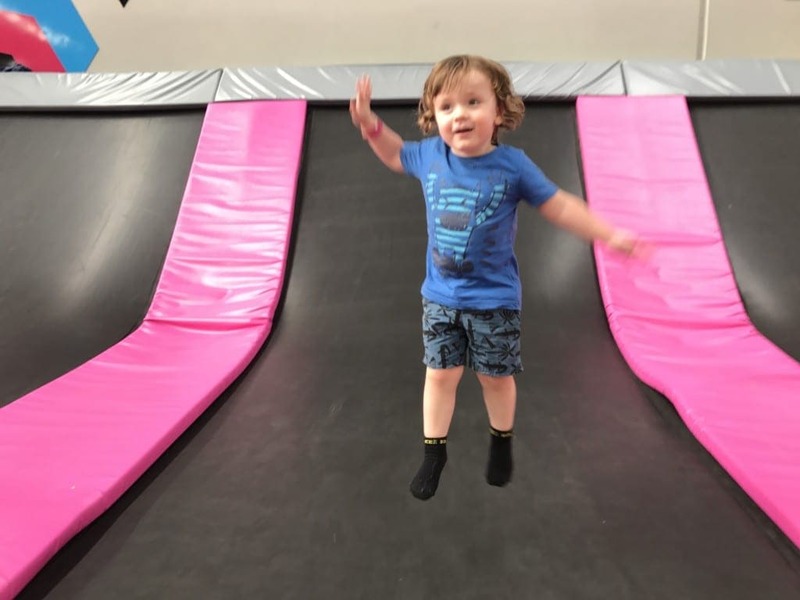 Jump over to BOUNCE Inc, Tingalpa, today! 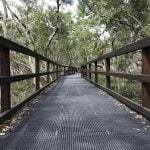 REVIEW: Is the Wynnum Mangrove Boardwalk good for kids?